Design and architecture company HLM has been awarded the £160million project at RAF Lakenheath in Suffolk, England, by the Defence Infrastructure Organisation. The project includes building a F-35 flight simulator, maintenance unit, new hangars and storage facilities. HLM will be working alongside engineering and construction firm, Kier VolkerFitzpatrick, to design and deliver the new facilities. All HLM studios, including Glasgow, will be working closely together to ensure the successful delivery of the project. The Suffolk airbase will be the first permanent international site for US Air Force F-35s in Europe. The flight simulator will have the capacity to link to other simulators used by pilots across the UK and beyond, allowing expertise to be shared and pilots from the UK and US to work together. For more information on HLM visit: www.hlmarchitects.coms or follow @HLMArchitects on Twitter. Patrick Arends has joined HLM, a leading design and architecture practice with studios in the UK and internationally. 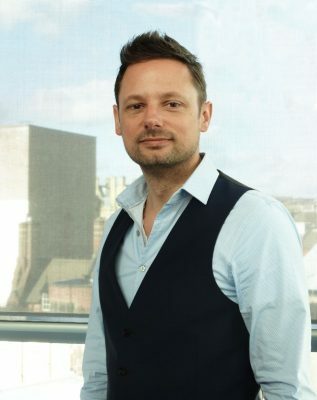 As winner of the RIBA West Midlands Emerging Architect of the Year award in 2014, Patrick possesses a strong skillset of innovation, quality and detail in his design work. He will bring this insight to the practice and to each design project. Patrick is currently leading the Staybridge Suites Hotel project in Cardiff Bay. As the first long stay hotel in Wales, this will include 75 suites with fully equipped kitchens. Also in Cardiff Bay, Patrick and the HLM team have been appointed to create a 1000m2 extension to science centre Techniquest’s current exhibition facility. 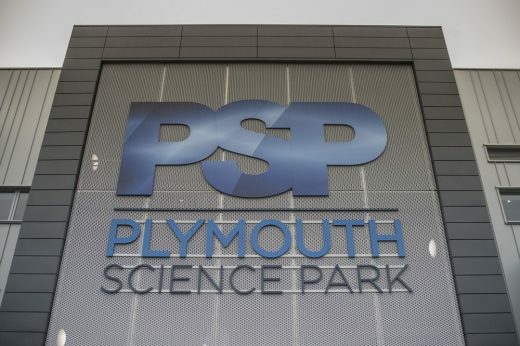 The immersive space will be dedicated to engaging audiences with innovative, contemporary science and will highlight new research and developments across Science Technology Engineering & Mathematics sectors. 10 Oct – HLM, a leading design and architecture company, has won the coveted People Development category at the prestigious Glasgow Business Awards 2017. HLM‘s people development efforts are widely known, from the HLM Academy to the company’s strong values, lifestyle packages and family friendly initiatives. The HLM Academy is a professional excellence programme which helps ensure all employees have the opportunity and resources to reach their full potential. The unique programme consists of a thorough induction, as well as modules, webinars, coaching, graduate programmes and on-the-job structured training. The academy ensures training and development is a company priority and enables its team to work to the best of their ability. HLM recognises that people development is vital for ensuring employees are engaged, with Deloitte’s 2017 Global Human Capital Trends revealing that 84% of employees in the UK rate it important or very important . The leading design and architecture company also recently recruited and trained over five apprentices this summer in its Glasgow studio. The scheme is one of the few in the Glasgow area which gives young people the experience they need to stand out in Scotland’s increasingly competitive jobs market. Lorraine Robertson, who heads up HLM Scotland said: “We are very proud to be recognised for our people development efforts, especially in such a competitive category at the Glasgow Business Awards. 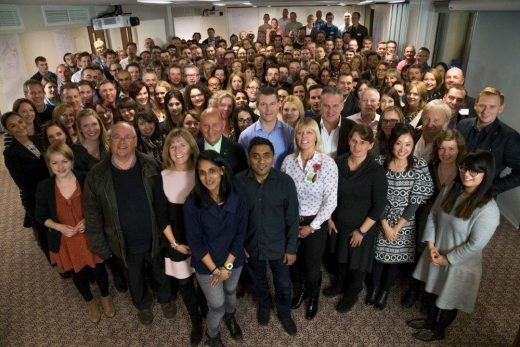 People development is at the heart of everything we do and we strive to give our team the best opportunity to continue to grow and develop their careers. 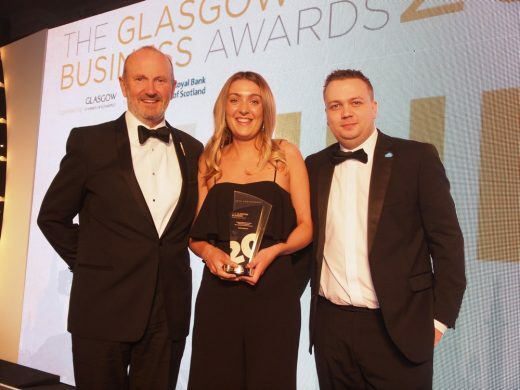 The awards, organised by Glasgow Chamber of Commerce, recognise forward-thinking and innovative Glasgow-based organisations. The People Development category aims to award businesses which successfully promote and implement a learning environment, which in turn ensures organisational and individual success. Successful nominees in this category had to demonstrate a strategic commitment to development throughout the organisation, recognising the importance of supporting the workforce in their careers and continually adding to their skills. The HLM Glasgow team were presented with the award at the glittering Glasgow Business Awards 2017 ceremony on Thursday 5 October 2017 in the Hilton Glasgow. For more information on HLM or if you would like to get involved in the internship programme visit: www.hlmarchitects.coms or follow @HLMArchitects on Twitter. HLM is an international practice, it serves the Ireland and the UK with offices Belfast, London, Sheffield, Glasgow, Cardiff, Manchester and Plymouth. It also has offices in Johannesburg and Abu Dhabi. HLM has a one-team culture which creates a platform for all its UK and overseas offices to share both workload and resources. This poses a challenging environment for its BIM activities to ensure consistency in quality and timely delivery. 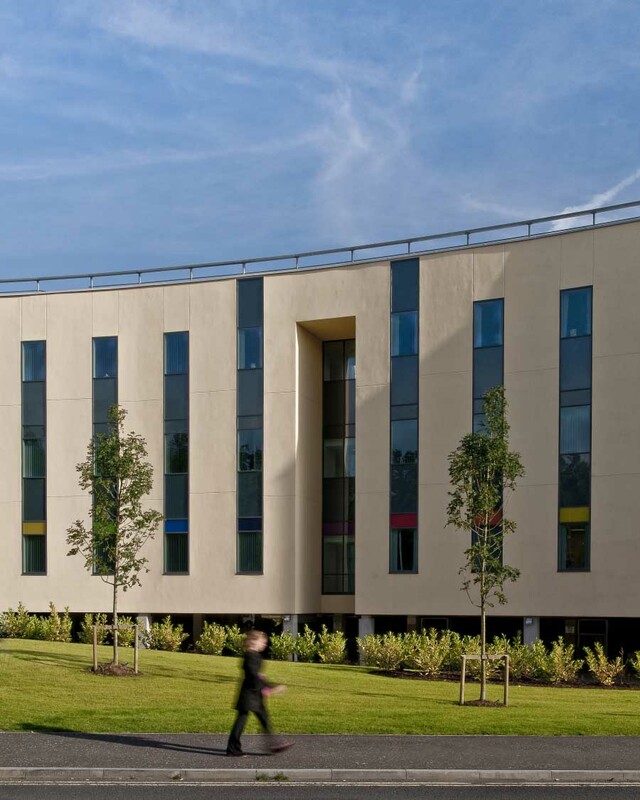 “HLM was one of the first architectural practices in the UK to achieve certification through the Building Research Establishment’s (BRE) Business Certification Scheme, firmly establishing it as a leading BIM Level 2 compliant organisation,” said Tunstall. The £250m Defence College of Logistics, Policing and Administration (DCPLA) at Worthy Down in Hampshire has received planning approval through delegated powers from Winchester City Council, marking the second and final application for the scheme known as Project Wellesley. Law firm Irwin Mitchell has advised HLM on its acquisition of architecture, urban design and interiors practice, Sidell Gibson. HLM is architecture, landscape architecture, urban design, masterplanning, interior design and sustainability practice. In addition to its office in Sheffield, it has a presence in London, Glasgow, Belfast, Cardiff and Plymouth in the UK, as well as Johannesburg and Abu Dhabi. The newly acquired practice will trade as Sidell Gibson and be run independently of HLM, operating from new offices in central London. The team will continue to build on its expertise in high quality commercial buildings, housing and restoration projects. The £45m New South Wing is the third phase of works, but the first phase of new build clinical accommodation in this significant hospital redevelopment. It will provide replacement facilities for key services, including maternity and neo-natal, oncology, cardiac care, adult acute inpatients and rehabilitation, as well as a new patient records department and staff changing facilities. A new integrated Health Centre for the people of Clackmannanshire. The facility comprises of a Health Centre with pharmacy and community patient services, Inpatient and Day Hospital Building and Community Mental Health Resource Centre with consulting rooms and day hospital accommodation on the ground floor with non-patient staff office above. 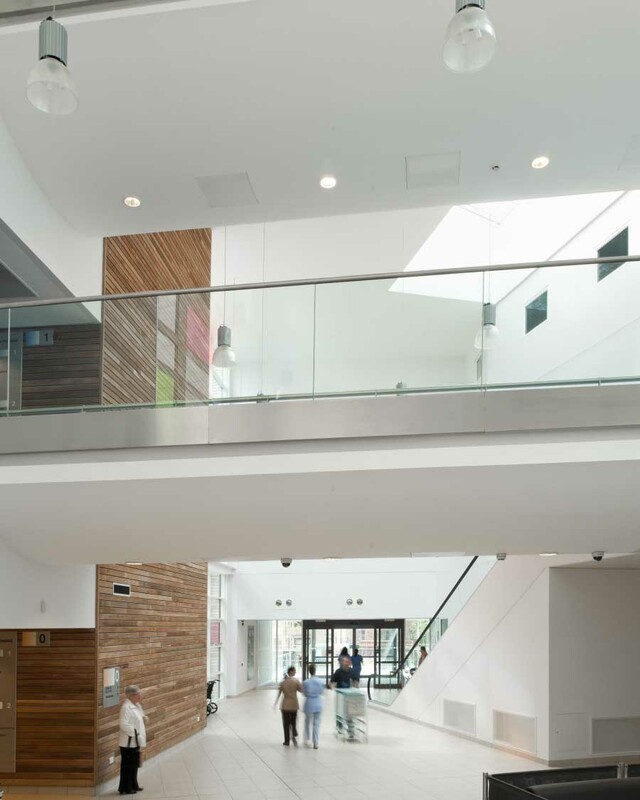 The purpose was to establish an integrated health facility that meets the needs of the residents of Alloa and the wider population of Clackmannanshire. As one of the first four Eco-Towns to be selected out of 57 initial submissions by the government in 2009, we entered this competition in St. Austell, Cornwall following our success with Future Works Eco Home, winning entry in Wales and our winning scheme for Scotland Housing EXPO. Following our successful Stage 1 submission, we were shortlisted as 1 of 25 to submit our Stage 2 entry. The Stage 2 decision will be made in June 2010 where we hope to be selected as 1 of a number of architects to develop the initial pilot scheme sites in St. Austell with an opportunity to apply our scheme designs to the wider context. This building by HLM lies in a very rural location just outside the market town of Cowbridge. It is the first of three secondary schools to be developed by the Vale of Glamorgan Council with funding from the Welsh Assembly Government. The school will accommodate 1550 pupils including a large 6th form intake of 350 students. Construction began in January 2009 and was compled in time for the new academic year of 2010. This building by HLM is located on Fulham Road, Chelsea, London. It is adjacent the Chelsea Westminster Hospital, and replaces the derelict home that existing on the site up to 2003. The nursing home and day centre is a 3 level courtyard arrangement, and have a combined (approximate) gross internal area of 4950m2 – the rest of the development on the upper levels comprises private apartments for sale. New Regional Cancer Centre for Humberside and North Lincolnshire providing cancer and haematology services on one site at Castle Hill Hospital. 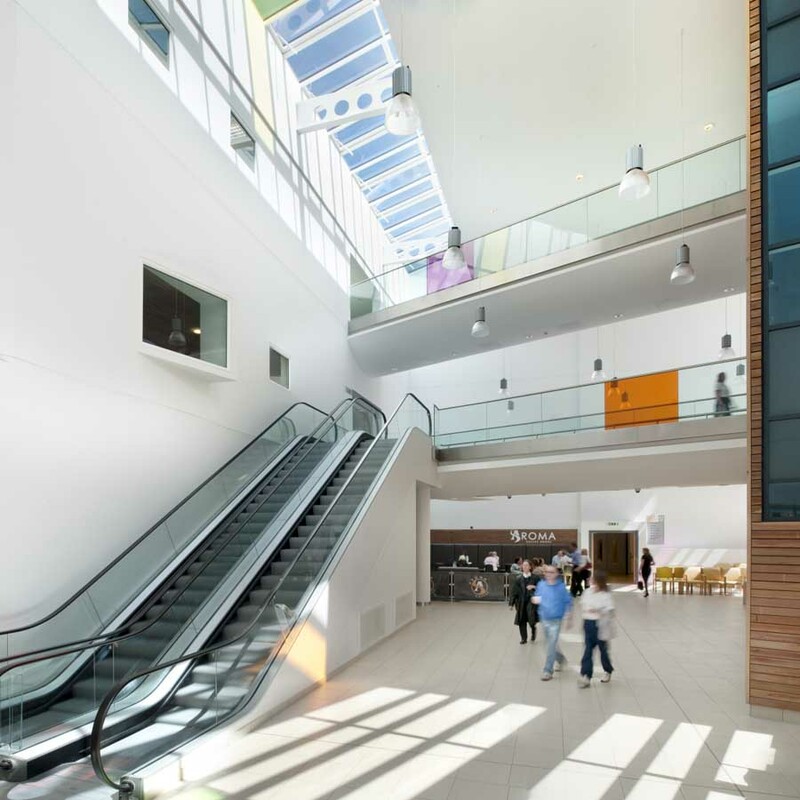 The scheme encompasses 6 linear accelerators, together with Outpatients and a Day Hospital, 100 beds in 4 wards and Pathology, Pharmacy and Medical Physics facilities. 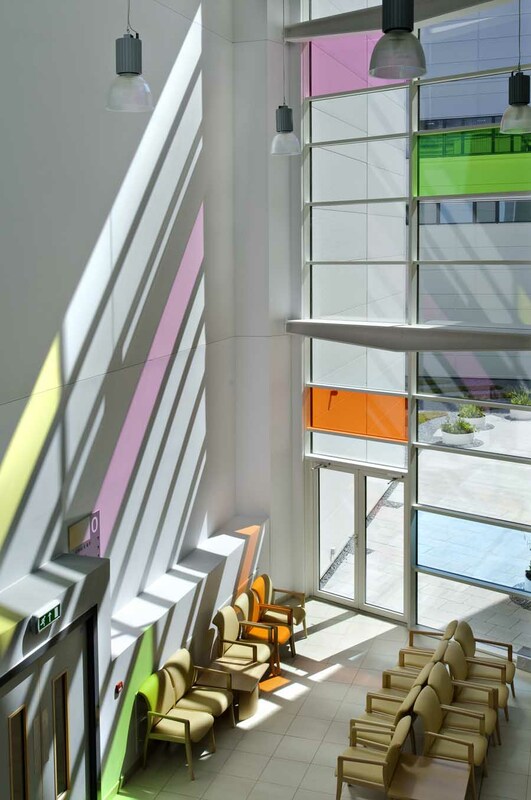 The building is located in a rural setting on the edge of the main hospital site, set into the Northerly hillside maximising views out to the countryside from all patient areas. The objective was to consolidate and improve the current provision of education and community facilities and extend the range by the introduction of the Woodlands Physical Disabilities School and Hostel combined with the relocation of the local Youth Centre and Community Education. The new facility combines teaching and support facilities into one ‘campus’, creating a fully inclusive, functionally operational, secure and protected learning environment. The pioneering new campus provides for the educational needs of children of all ages through the following facilities.